Voice recognition/assistant services like Siri and Google Voice Actions might be considered the cream of the crop right now, but that doesn't mean that there isn't a small start-up somewhere, secretly developing a much smarter technology. Actually, in the case of professor Nick Cassimatis and his start-up SkyPhrase, that new technology not secret at all! Prof. Cassimatis believes that his voice recognition technology is much better compared to what's currently used by the leading companies, because of the fundamental differences in their approach towards natural language recognition. “We memorize the dictionary to read the Library of Congress. Siri is trying to memorize the Library of Congress," says Cassimatis. "Emails that Jane sent me during the holidays containing pictures;"
"Tweets about Mars from NASA during the last two days;"
"Flights from New York to Orlando leaving next week and returning in November." The "trouble" is that SkyPhrase is currently limited to searching Gmail, Twitter and the Orbitz website only. Obviously, Nick and company will have to add at least some more services if they want to compete with more polished products like Siri and Google Voice Actions. If you'd like to give SkyPhrase a try, you can do so by visiting its website or by downloading SkyPhrase for iOS for $0.99. I think it is way to promote app. Nothing else. But I would be happy to see the performance of this app. Not necessarily. Google's status as a search engine has no effect on how well speech-to-text works or how the text is parsed. When Google Voice Search understands a query, the results should beat Siri's, but voice recognition is more than that. S voice is better in my opinion and has been proven in multiple articles on IphoneArena! Both are great though no doubt. No complaints about both. I'm not sure if I'm the only one but when playing with my brothers s3 s voice rarely understood what I said exactly. Siri is no better, but googl voice has the best voice recognition. 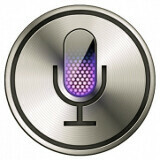 In terms of functionality, then yes s voice and siri are pretty close. S Voice is garbage compared to Google Voice actions and Siri. It has issues understanding simple statements and it takes a while to load up. Google Voice Actions is extremely fast and pretty accurate as long as you speak clearly. Where on PA have you ever seen S Voice besting Google Voice Actions? I have an S3 and can't wait for the Jellybean update cause Svoice is garbage. A great way to promote his product so it gets bought out by Apple and Google so they could integrate his technology. I can't say that I've had any complaint about voice recognition with Siri. The problem is what it is what actions it's capable of performing. Also it picking up slang that's used by the general populous or even from the user itself (I wish Apple would allow the user to manually enter words so the autocorrect can stop correcting them).